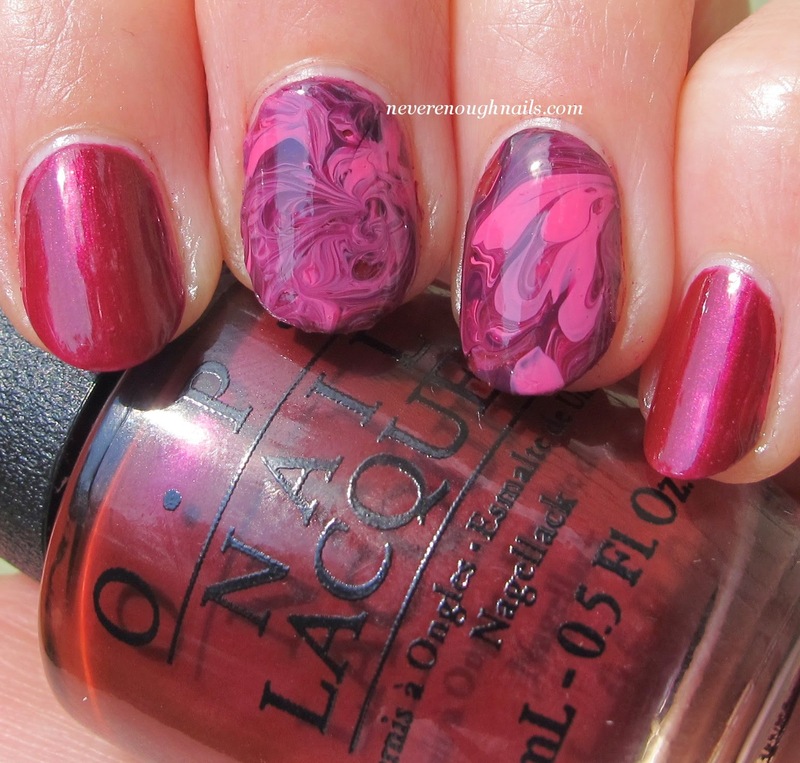 Never Enough Nails: Marbled Nails featuring the OPI Nordic Collection! 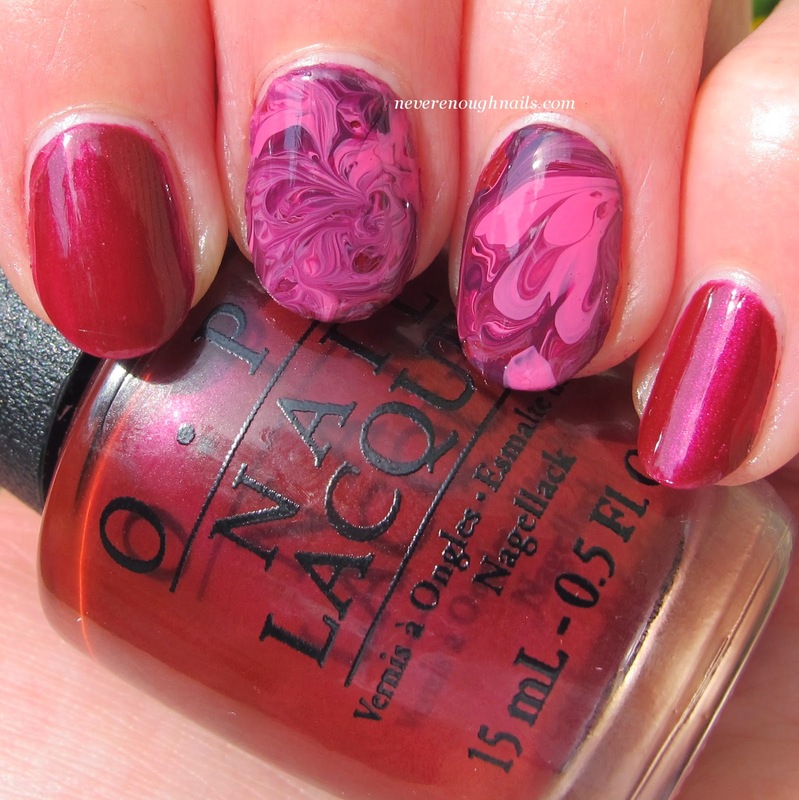 Marbled Nails featuring the OPI Nordic Collection! 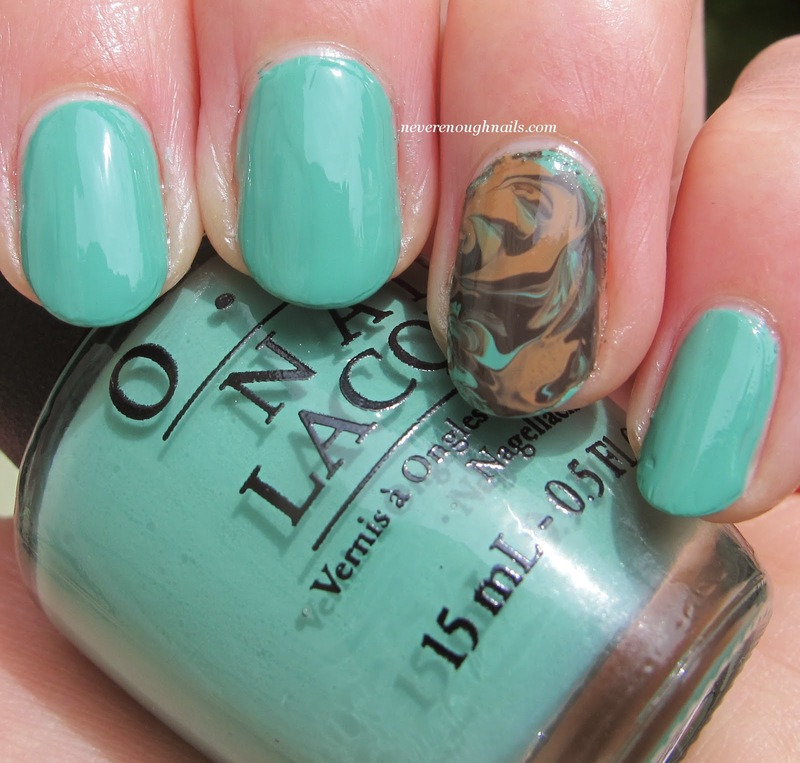 I really love the look of water marbled nails, but really, ain't nobody got time for that! However, thanks to Cristina from Let Them Have Polish, we can all have marbled nails without all the hassle. I'm not sure if Cristina is the original creator of this idea, but I recently watched her color drops decal tutorial and it was excellent! I do a have a step by step for this process in pictures later on in this post, but first, let's look at the two looks I did with polishes from the OPI Nordic Collection. 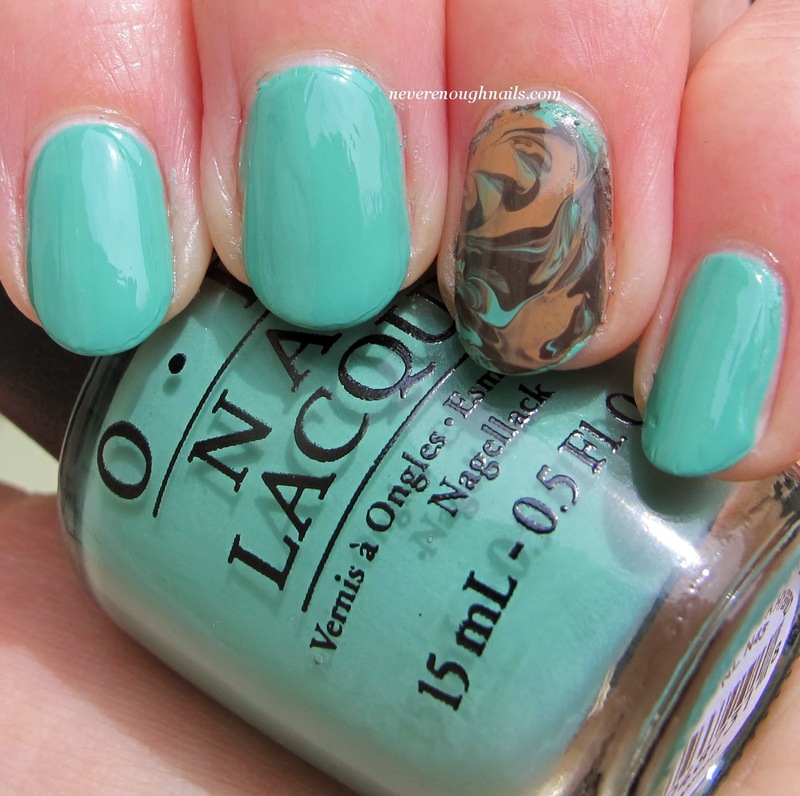 I did say these polishes would be great together in a marble! This was my first attempt at marbled nails using this method, so be kind, haha! (I also really need a new clean-up brush. Mine has seen better days!) For my first try, I used three coats of OPI Thank Glogg It's Friday for my base color on all of my nails. I then used a few drops each of OPI Suzi Has a Swede Tooth, OPI Viking in a Vinter Vonderland and OPI Skating on Thin Ice-land to create decals for my nails using the process detailed in Cristina's video and my pictures below. For this second look, I used two coats of OPI My Dogsled is a Hybrid as my base color on all of my nails. The marbled accent nail is My Dogsled is a Hybrid, OPI Ice-Bergers & Fries and OPI Going My Way or Norway?. It's kind of a mint chocolate chip ice cream with hot fudge marble! The first thing I thought was pure genius in Cristina's tutorial was her usage of a plastic covered binder to make decals. We've all seen decals made on saran wrap, but sometimes I find that to be a pain to keep it smooth. I am just a klutz, and I get the saran wrap stuck to itself all the time. Using a binder to make your decals is a perfect solution! 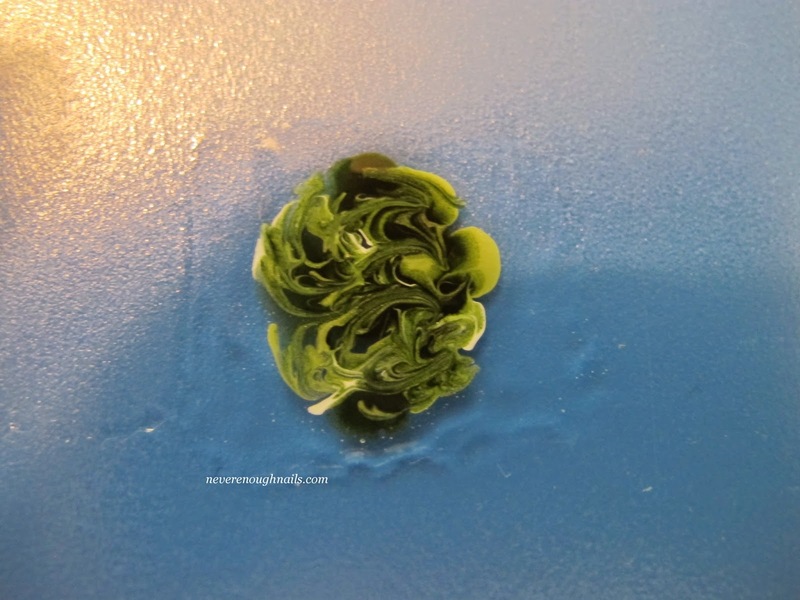 Don't worry about ruining the binder, all the polish peels right off. 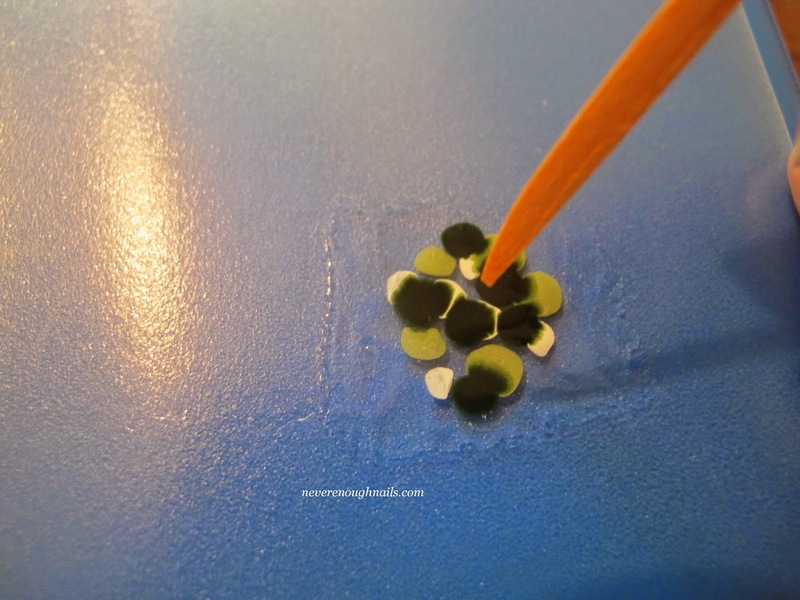 To make your decal, paint a square onto the binder using your top coat. 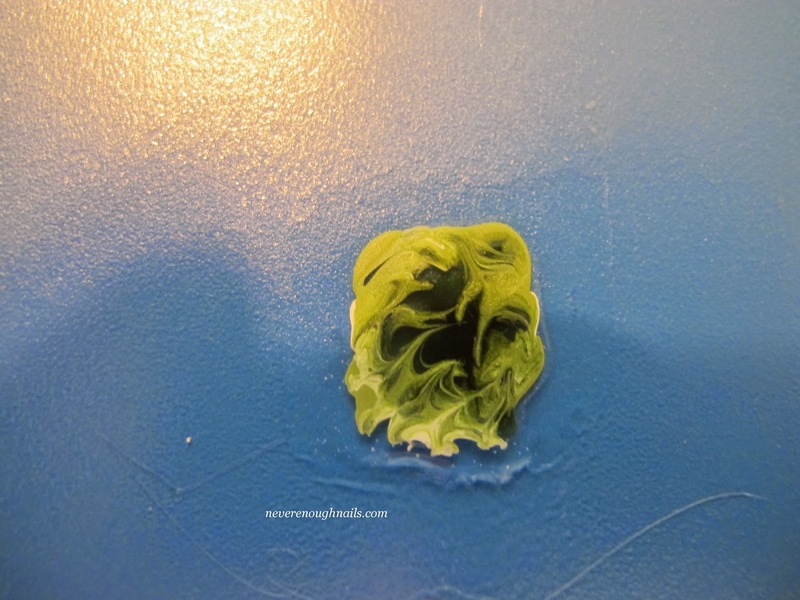 Use a good amount of top coat, but don't make it too thick. Make sure the square is longer and wider than your nail. 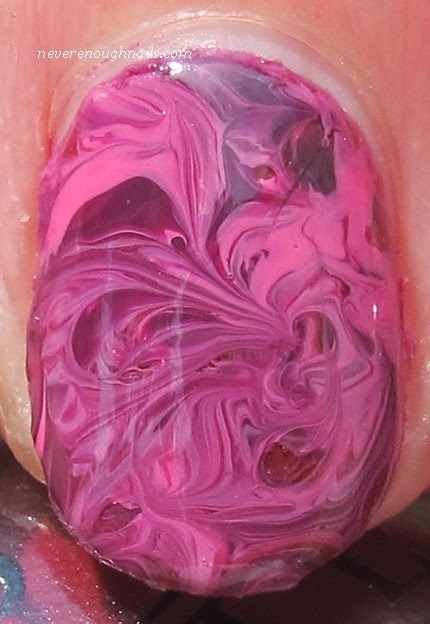 Next, place drops of the polishes you chose for the marble on to the top coat. 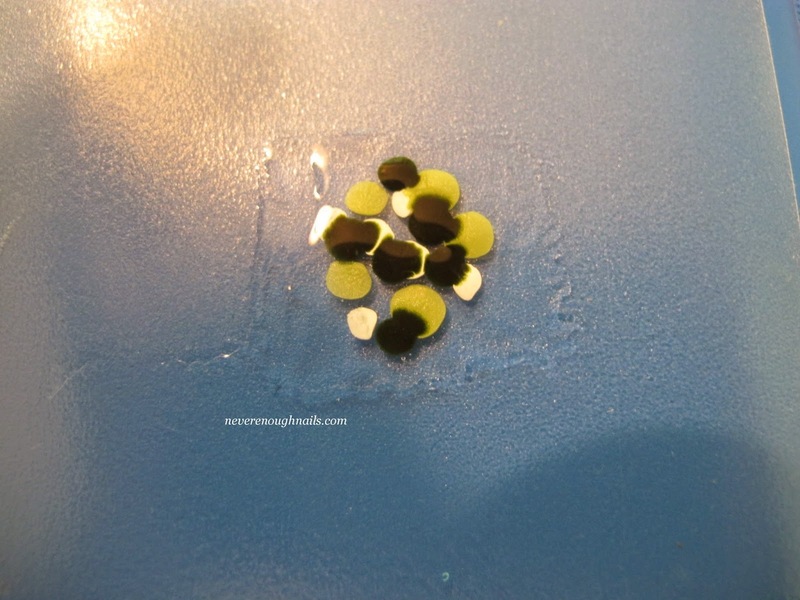 In this case, I did 5 drops of a light green, 6 drops of white, and 6 of a dark green. These polishes are not from the OPI Nordic collection. When I took these pictures, I was doing some decals for my mom's nails actually! 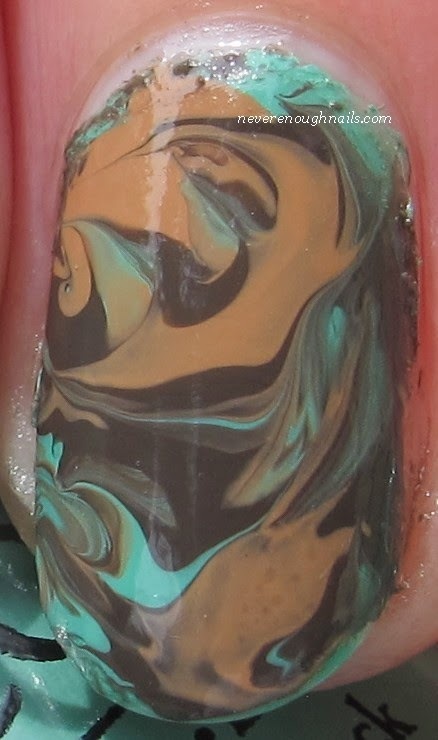 Then, use the sharp edge of your orange wood stick or pointy end of your toothpick (I actually used a dental gum stimulator because I didn't have toothpicks) to swirl the drops of polish into a marbled design of your choice. For the best marble, use a light touch and don't over mix the drops of color. Overmixing the colors results in a muddy look. Let your decals dry completely- I let mine dry overnight. Apply your base color to your nails and let that dry. 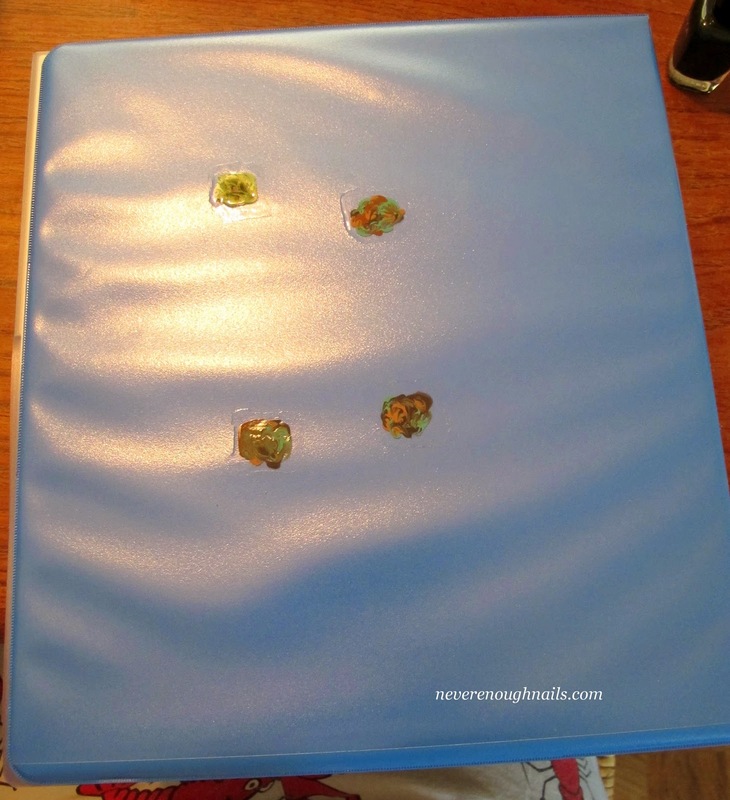 Then, peel the decals off of the binder and apply on your nails. 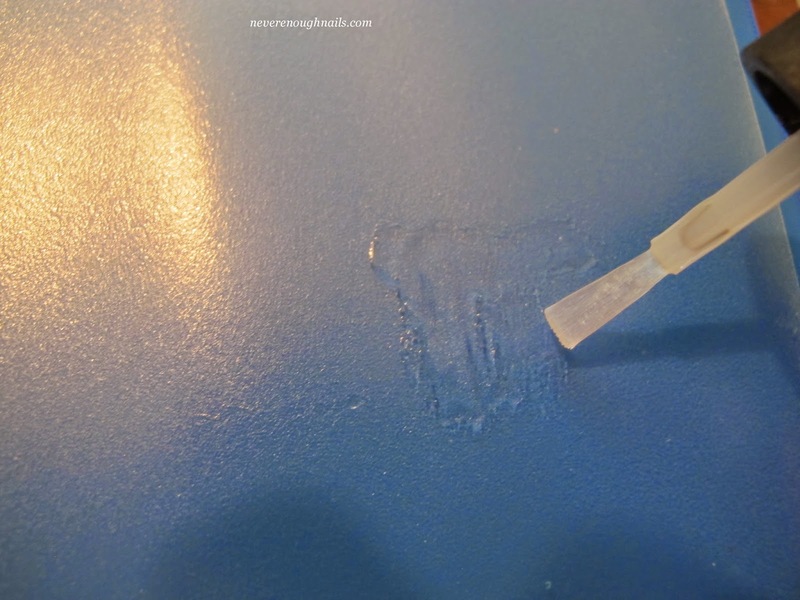 Trim the excess decal off using your small scissors or cuticle nippers. Apply one layer of top coat and allow nails to dry. Finally, use the acetone and clean-up brush to clean-up any excess polish around your nails left by the decals! I definitely recommend watching Cristina's video on this method. After watching it myself, I am now totally obsessed with making marbled decals! It's SO much easier than water marbling, I can't even believe it! They were really fun to do Ananka! It was fun to make the decals, like arts and crafts, haha!